Selective Breeding, can I have your opinions? I currently have a Fluval Spec V which is my shrimp tank, stocked with 20~ Cherry Shrimp, 1 Orange Rili (berring when I bought her and successfully birthed fry), and 2 Crystal Blacks. Last week I ordered 20 Assorted Rili Neo Davidi Male Shrimp (I thought I was ordering a mix of Males & Females, sadly mistaken). I also ordered the Dennerle/Shrimp King 10g (Shrimp King Tank) to put them in seperate from my Cherry Shrimp tank. 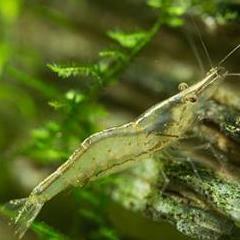 I want to interbreed these Rili shrimp and in order to do that I will need to purchase a “Breeder Combo Pack” (10 female & 5 male) but I do not know what would be the best option to go with to breed with the 20 Assorted Rili Neo Davidi Male Shrimp that I already have coming. Ive been doing my own research to see how interbreeding will turn out but is such a very in depth and situational topic, and I know if I get the wrong type of Neocaridia davidi then it would be possible that one gene is more dominate and would possibly just end up being all one color. Can I please have your opinions? If you're going to mix all these colors, it's the same as opening the Pandora box : you will get random offsprings. Some people doing so have reported having interesting results, even such as "Koï" shrimp. Expect some wild (brown) type, as mixing colors may result in reversing the selective breeding. These lots of mixed colors are probably left over or culls from selective breeding or failed experiments; but that doesn't mean they are not of interest though. Feeding CRS bloodworms: Yay or Nay? So my question would be, do my CRS require some additional protein in their diet? I've been told breeding is quite a energy intensive activity for shrimp. And if so, would feeding some frozen blood-worms help to supplement this?